One particular place I am interested in is the more recent history of the Upper Derwent and the lost villages of Derwent and Ashopton which were submerged following the construction and flooding to form Ladybower Reservoir in the 1930’s. Ladybower was built between 1935 and 1943 by the Derwent Valley Water Board to supplement the other two reservoirs (Howden and Derwent built 1900-1916) in supplying the water needs of the East Midlands. It took a further two years to fill (1945). Ashopton Viaduct, then and now.. The two viaducts, Ashopton and Ladybower, carry the trunk roads over the reservoir and were built by the London firm of Holloways, using a steel frame clad in concrete. The project was delayed when the Second World War broke out in 1939, making labour and raw materials scarce. But construction was continued due to the strategic importance of maintaining supplies. Certainly, by 1946 both villages were submerged. The water level in the Ladybower reservoir during a dry spell can drop that much that the remains of the lost village of Derwent reappears (drought conditions in 1976 and 1989 1976, 1989, 1996 and 2003 uncovered much of Derwent stonework). Derwent Village was a small collection of stone built dwellings and out-buildings but the main activity was at Ashopton – a contrast to Derwent, as it was a working village standing beside the main road from Sheffield to Glossop, a crossroads and stop point to break a journey. The Ashopton Inn no doubt would be a watering hole no doubt and once this pub also catered for coaches (and horses) the local garage, post office and many a church wake. . Around the village were several farms and some of this still stand. Birchinlee is also not to be forgotten, although a temporary €˜tin town built to house the men [and their families] building the dams of Derwent and Howden between 1902 and 1916, it was still very much part of the Derwent community. Accommodation at Tin Town consisted of workmen’s huts and its infrastructure included a school, canteen (pub), post office, shops, recreation hall, public bath house, police station, railway station and the population rose to 900 people.. Remnants of “Tin Town” can still be seen when walking to the west of Derwent Reservoir. 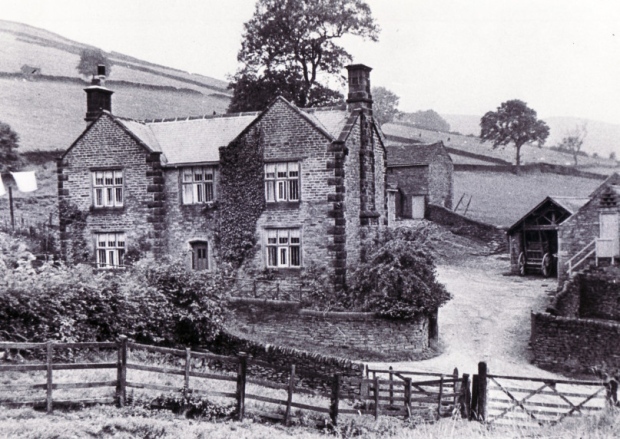 Cockbridge Farm, Ashopton, 1935 Ashopton Village – demolished in the early 1940’s to make way for the Ladybower Reservoir. 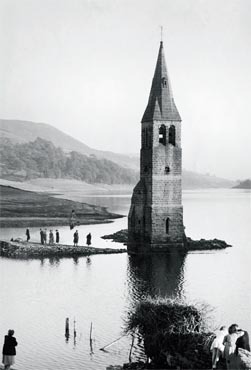 The spire of Derwent parish church was the last significant building in the villages to disappear from view and, in the early days of the reservoir, the spire would re-appear eerily through the morning mists when water levels were low. Later, the spire was demolished for safety reasons. Built in 1876 the village church like so many, were the centre of social and worship activities. In 1940, the remains of 285 people were exhumed from the chapel graveyard and the “contents” reburied at Bamford. The last service was held at the church on the 17th March 1943 and on this same day, the Royal Air Force 617 Squadron was formed at R.A.F Scampton under the command of Wing Commander Guy Gibson – better known today as The Dambusters whom would later practice over the Howden and Derwent dams. Situated away from the village, and with its own Roman Catholic chapel, stood the magnificent Jacobean Derwent Hall which was built in 1672. Derwent Hall had its own lake and large ornament gardens. 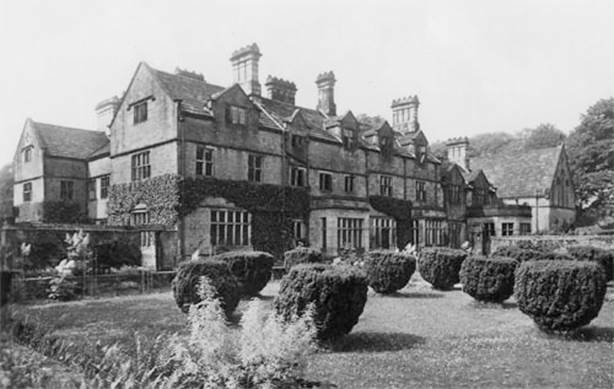 The Derwent valley has a long history of worship – Abbey Grange for example, an extensive farm built by monks which in 1299, the Welbeck estate at Crookhill was valued in a taxation roll at £7-17-6d. The monks built 4 chapels in the valley. It would be great to locate them. I would be especially interested to find any evidence of one such chapel next time I am up there, a wayfarer chapel, which stood in the woodlands 130 yards south of Hope Cross and close to the Roman road, offering food and shelter to travellers. 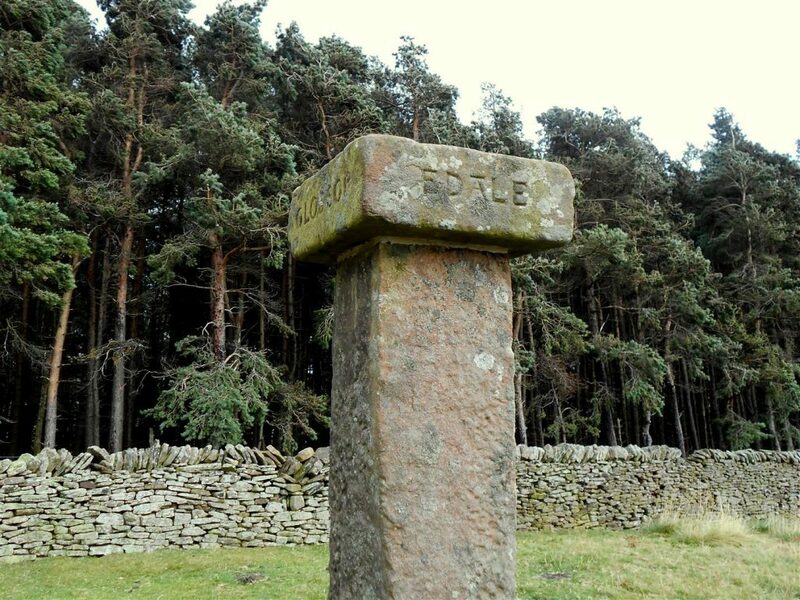 Hope Cross, stands on a former Roman road on the crossroads of an important packhorse rout. The 7 feet high post with a square capstone bearing the names of Edale, Glossop, Hope and Sheffield on its faces dates back 1737. Most likely there would have been a cross here before this one. As the waters began to rise, Lancaster bombers flew over the Howden and Derwent dams (which already existed in the higher reaches of the valley – built just before the First World War), in order for pilots to practise low-level bombing runs for the Dambuster raids on the reservoirs of the Ruhr. Even at that time, the squadron would not have known their target until only the eleventh hour – to cross the Netherlands and Germany at zero feet and to drop a bomb on the Ruhr dams. 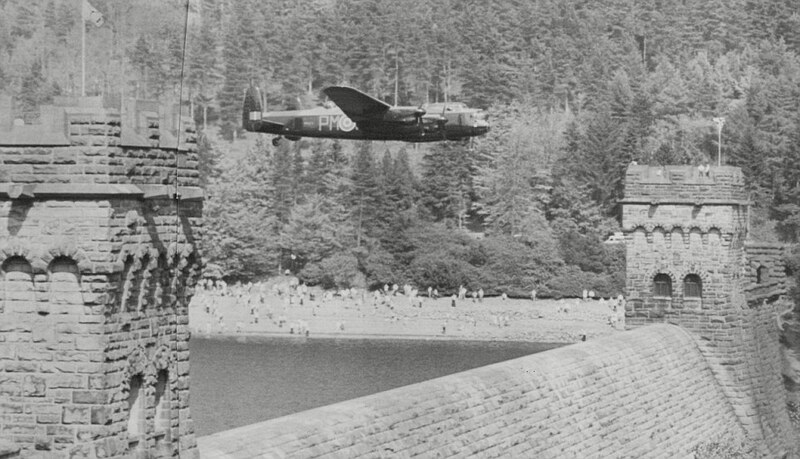 Operation Chastise, better known as the Dam Busters raids, carried out by Royal Air Force 617 Squadron on 16th and 17th May 1943..
Pictured above, a Lancaster Bomber of the type used in the raid flies above the Derwent Dam during a flypast by the Battle of Britain Memorial Flight in 1988. Later, a tribute flypast was in 2013 for the 70th anniversary of the raid and also in 2014, as thousands watched the last two airworthy Lancaster bombers in the world flypast the reservoirs. The opening ceremony marked the completion of a work programme initiated in 1899, when an Act of Parliament authorised the Derwent Valley Water Board to construct six reservoirs to supply water to Derbyshire and the surrounding corporations of Derby, Leicester, Nottingham and Sheffield. At the time of opening, the waters behind would have been rising over the villages or Ashopton and Derwent. 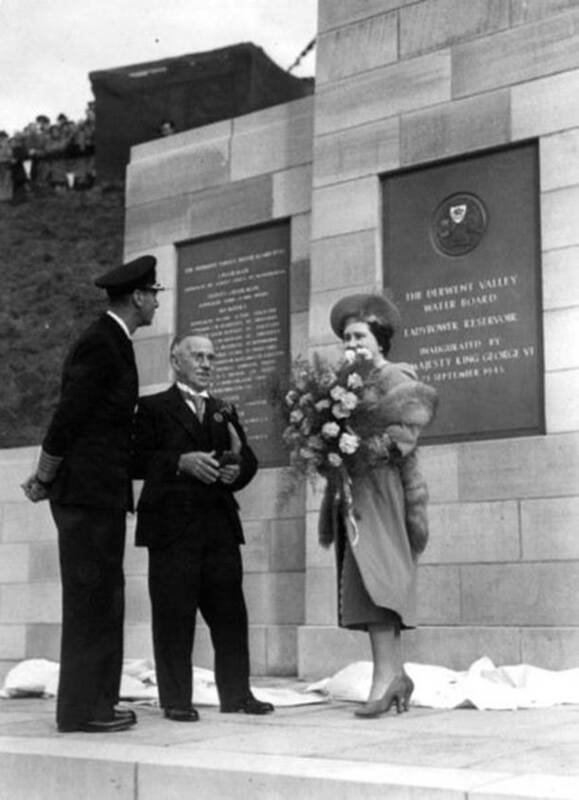 King George VI, accompanied by Queen Elizabeth, formally opened the reservoir on 25 September 1945. Did the King make a speech that day I wonder! 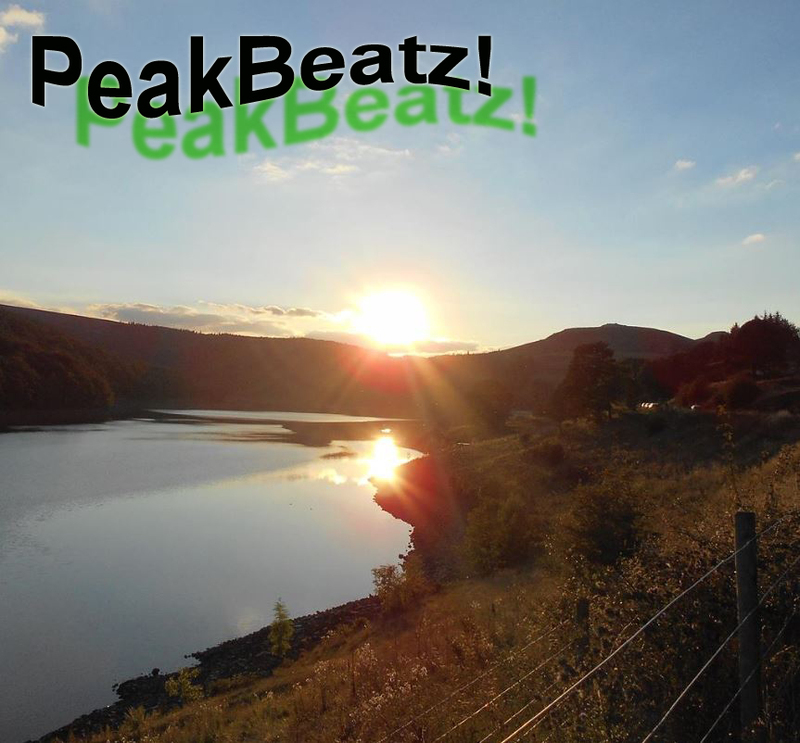 Today the reservoirs look a permanent and beautiful part of the surroundings and you would not so easily realise just how deep that Ladybower reservoir is without seeing some of the construction pictures showing the now ‘lost’ villages that now lie below. the Ashopton Viaduct would have towered over the doomed village below. Looking down from Crookhill Farm towards the Ashopton Viaduct. The A57 Glossop to Sheffield road crosses Woodlands Valley, passing over the Ladybower reservoir at the Ashopton Viaduct. 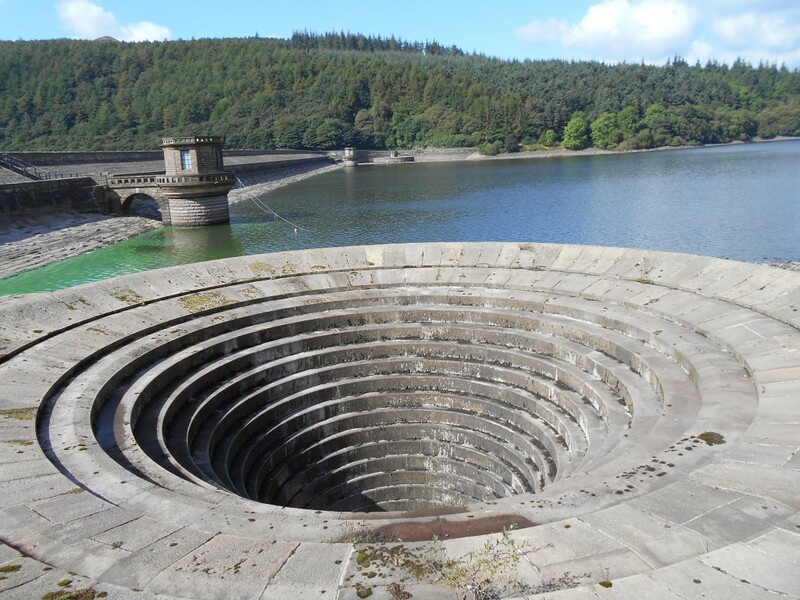 The Ladybower Dam’s design is unusual in having two totally enclosed bellmouth overflows (locally named the “plug-holes”) at the side of the wall. These are stone and of 80 feet (24 m) diameter with outlets of 15 feet (4.6 m) diameter. The bell mouths are often completely out of the water and are only rarely submerged, often after heavy rainfall or flooding. It would be great to see these in action. As a recent walker of the Peak District I find there is a huge amount of history to be discovered that makes walking in the area so much more interesting. 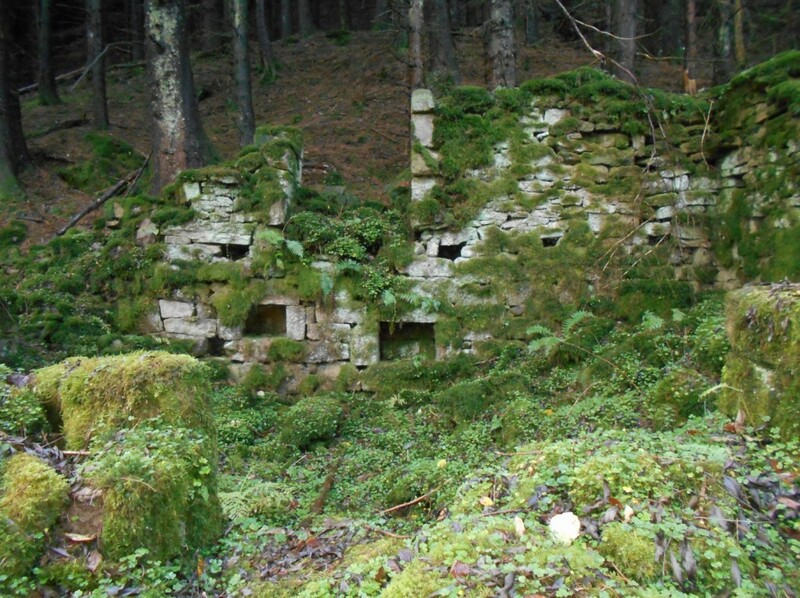 I guess the same can be said for any area but I am particularly drawn to the farmsteads that were abandoned and one in particular is Elmin Pitts Farmstead, the remains of which I came across in the woodlands near Hope Cross. Elmin Pits Farmstead, one of several farmsteads abandoned during the creation of the three reservoirs where substantial building fabric was left standing by DVWB. Like many of the farmstead sites it now survives within a woodland with public access managed by Severn Trent Water. Other farmsteads lost were Bellhag Farm, Bridge End Farm, Cockbridge Farm, Fairholmes Farm, Grainfoot Farm, Haglee Farm, Wellhead Farm & Wood’s Farm. 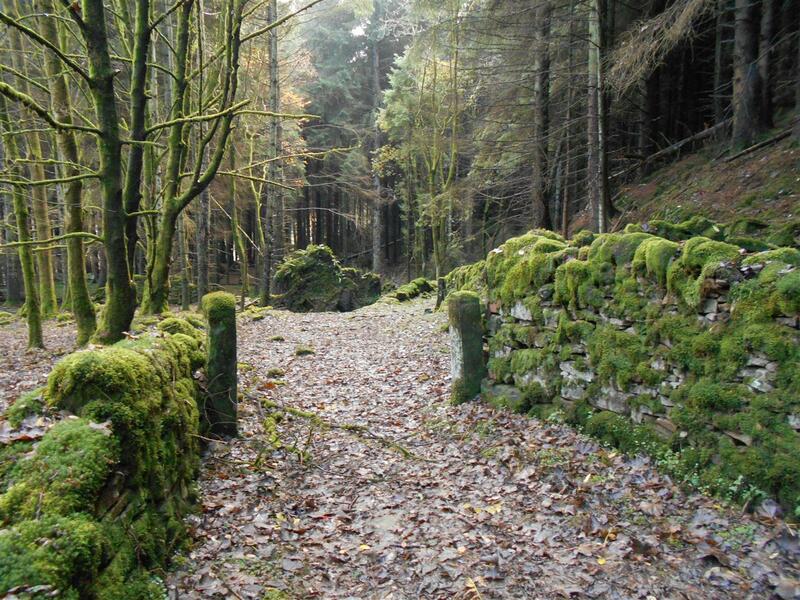 Built circa 1740-60, this now secluded farmstead ruins lies in the Woodlands Forest above Ladybower Reservoir. I think last occupied as late as the early 40’s. The last time I was here was on Christmas day 2014. How that for is keep fit & keenness effort! Perhaps it is because of it’s seclusion in a beautiful forest setting and the moss covered the dry stone walls that was an alternative setting than getting fat with turkey. An excellent stop for Xmas lunch. We sat on the throne pictured below that someone had made from the ruins of the stone walls. No camp fire however, but the flask of hot soup we took was most welcome (not turkey soup!). Any information on who lived and worked here would be most welcome! Conifers around many of the ruined farmsteads were clear-felled to prevent further damage from forestry activity, but the woodland around Elmin Pitts will be left in place because it mainly comprises deciduous species with a high wildlife habitat value. Taken on Christmas Day at Elmin Pitts Farmstead 2015. Time for hot soup on this cold day. Not a turkey in sight! 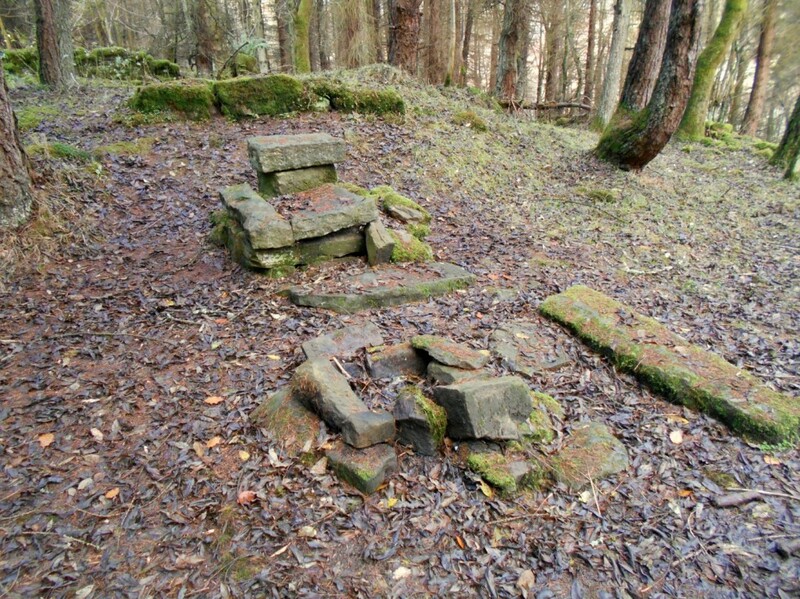 these stones had been taken from Elmin Pitts buildings at some point by wild campers. a pretty substantial armchair seat! 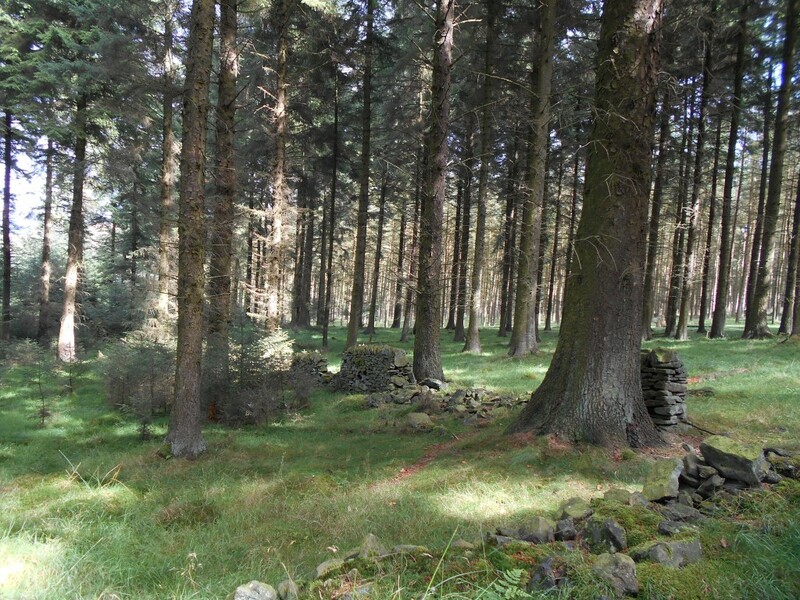 I find the dry stone walls that pre-date the pine trees in the woodlands quite intriguing.. The view back to Ladybower on the way up to the Roman road at Hope Cross, via Elmin Pitts abandoned Farmstead. But don’t take my word for it – get out there and see for yourself. 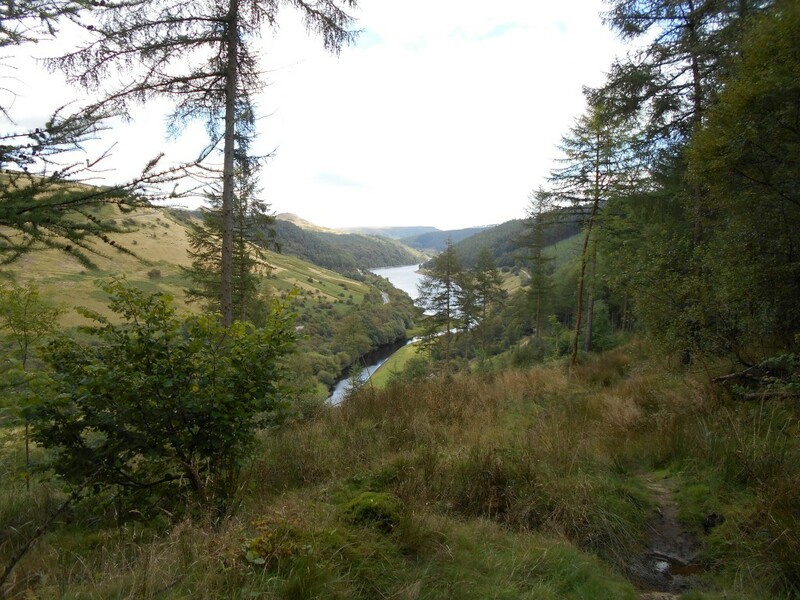 Maybe lose a few pounds too..
Now you are obviously wanting to get out for a walk that will take in some of Ladybower, Win Hill, Crook Hill, Hope Cross and Woodlands, including the abandoned secluded moss-clad Elmin Pitts Farmstead. This is a rout you can easily improvise but I have plotted on a map for you and you can also download a GPX file of the rout here if you have a GPS device to import it to. 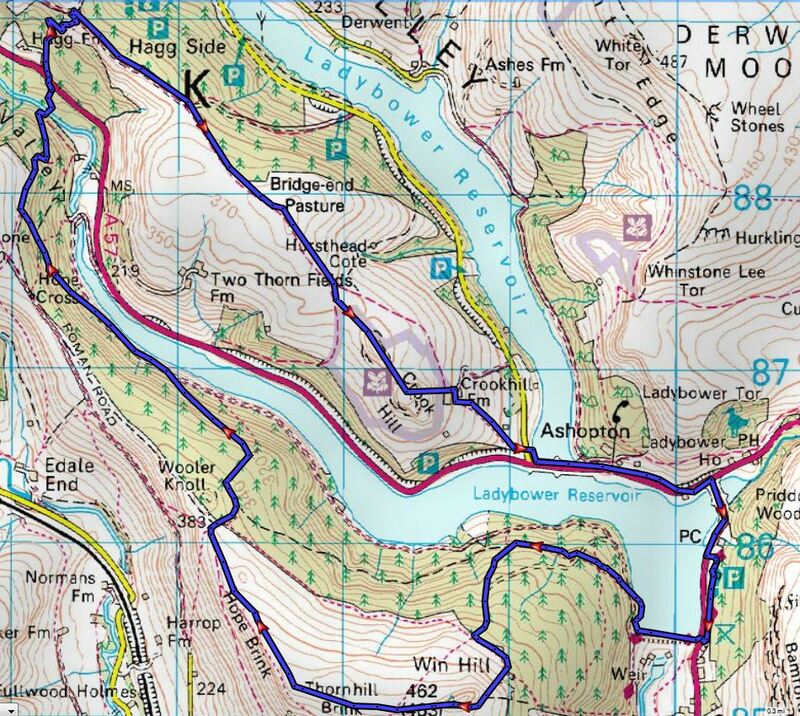 This rout starts at Heatherdene car park on the A6013 Ladybower to Bamford Road. GR SK 202859 €“ nearest post code for Sat Nav: Hope Valley S33 0BY. This walk has a varied mix of views including the Reservoir, the Viaducts the summits of Win Hill Pike and Crook Hill, the steady descent from the ridge to the Roman Road ( a stony track built by the Roman army) as well as a detour through a the fantastic pipe forest and rout up to the secluded Elmin Pitts Farmstead abandoned ruins. Following this, the rout takes you down another ancient track descending downhill to cross the River Ashop then with care, the Snake Pass. After a Climb uphill past Hagg Farm, reaching a saddle on the long ridge that stretches from Bleaklow to the Ashopton Viaduct. If you are still feeling energetic, then a short diversion to the twin summits of Crook Hills grit-stone tors will be in order before the gentle descent to the Viaducts and back to the car park. Update: now see the video of this hike and a look around the farmstead.. 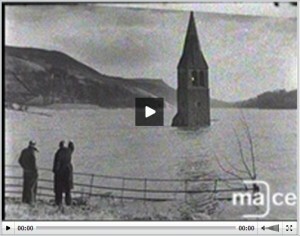 In this ATV clip, the late Gwyn Richards interviews former residents of Derwent and Ashopton villages in Derbyshire which were flooded during the construction of Ladybower Reservoir in the 40’s. The B&W footage & commentary by Gwyn Richards is in true spirit of the mood of the day, although filmed in 1966. Thanks to Doctor Bill Bevan – for the info in his Thesis submitted towards a PhD, Department of Archaeology, University of Sheffield. 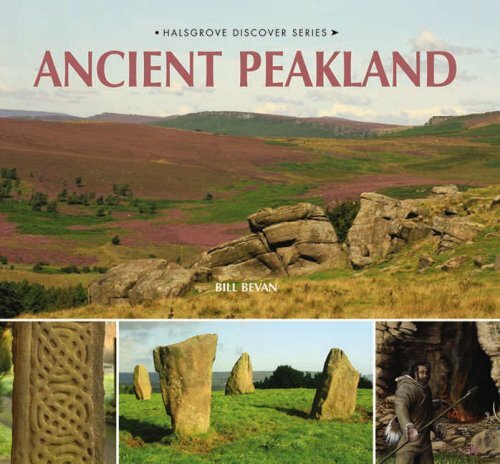 There are some great books available on the history of the upper Derwent and I would certainly recommend Bill’s own books on the Ancient Peakland and many others. Also, I recommend the most excellent book Silent Valley by Vic Hallam. Vic owns and operates The Derwent Dam Museum which is housed in the west tower of the Derwent Dam. The exhibition houses many interesting displays and items associated the 617 Squadron Dambuster raids of the Second World War. In addition, comprehensive information and several exhibits can be found on the lost villages of Derwent, Ashopton and Birchinlee. 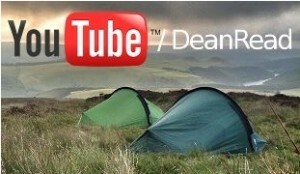 Get inspired for the great outdoors – the Glorious Peak District way , in video, audio and blog.. I have an interest in the Derwent Valley. 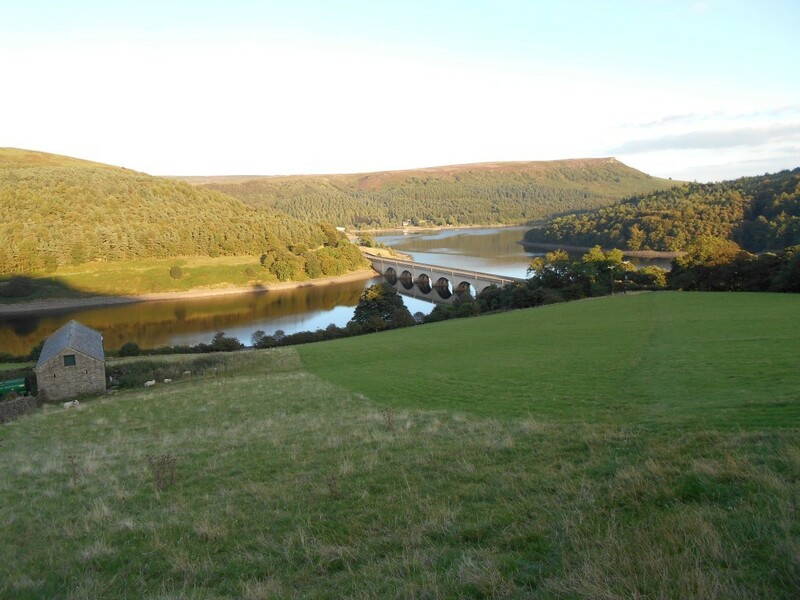 I believe that my mother, then Miss Gibson, was the last headmistress at the school before the valley was flooded to form the Ladybower Resevoir. My mother did not tell me much about her time there but she did mention meeting the Duke of Norfolk in the village and of the struggles to educate his son, Duke Bernard. Hi Stephen – Sorry for late reply! Thanks for the comment and sharing that. The Museum is a great place to start and non better that the Derwent valley Museum run by Vic Hallam http://www.dambusters.org.uk/reccomendations/derwent-valley-museum/ – as well as reading Vic’s Book The Silent Valley http://amzn.to/2lVNy4p . If you drop by the Museum he is a mine of information. I have to sadly say that Vic Hallam has since passed away. And apparently the museum is closed as his family did not want to carry on with it. Hi my Great Grandfather Robert Townsend farmed at Elmin Pitts farm, he may have been the last resident due to the dams being built. Many thanks for your comment J. I can see Robert was a member of the shepherds society in 1920. I think the society membership was as a common agreement for farmers to return lost sheep to rightful owners. Probably involved a few meetings in various pubs including the snake inn..! Would be great to find any photos of Elmin Pitts and see the farm buildings as they were. I have never found any.Thanks again.. Thanks for the comment J Reid. it is a sad affair isn’t it.. and must have been for the residents at the time as they were not just leaving a village, but the whole village/s and generations would be lost forever and could never go back. My Mum was the last person to be christened in the church on the 9th March, 1943 – a few days before the final service. Thanks for your comment Deborah. The registry book would have come to an abrupt end wouldn’t it.. as would the entries for marriages and also funerals held. Wonder if those books are in an archive somewhere? Fascinating anyway and thanks again for the comment. im trying to put together a list of the farmers and families before they were flooded, I have walked the area since the early 70s and worked for STWA for a while, then became the Derwent Area Warden for the National Trust having started in Edale in 1981, one of our tennants at the time was Tom Bridges at Edale End who recalled many times to me that there were 14 farms in the valley before it was flooded, and he could recall all their names of the families and many of the children. Tom Lived at Ronksley Farm and I also have the name Joe Tagg associated with the same farm. Unfortunately we never got him on tape! I have managed to find 20 Farms from my research and would welcome any advice help you may be able to give me as to how to progress my quest. Hi Bob my name is Judith Townsend from Edale, my father was the late Bob Townsend. Your name rings a bell!. My father lived in Ashopton when he was a boy and my Great Grandfather farmed at Elmin Pits Farm, both moved out when the the dams were built. I would be interested if you have any further info to share. Hi Judith, Robert was my 1st cousin 3x removed so we share some grandparents. I know quite a bit about the Townsend family history if it’s of any interest to you. HI there Bob, apologies for late reply. Thank you for commenting. You most likely know more than do. It would have been great to speak with Tom and record his memories. I found Dr Bill Bevan most helpful and did a lot of research for his Phd. he can be found via the contact form here perhaps >> http://www.inheritage.co.uk/wp/ ..
more info below if any use! best wishes, Stephen. Sorry it taken me so long to get back to you ,I have got a list of the old farms like the one you have posted thank you, im trying to work my way to finding the people who lived at them and trying to get a photograph of each farm to go with some words which I would like to make into a small book, if you could let me know where to get photos that would be amazing as I see you have posted some. I’m a descendant of the Ronksley family who had to give up their farm when the reservoir was built. 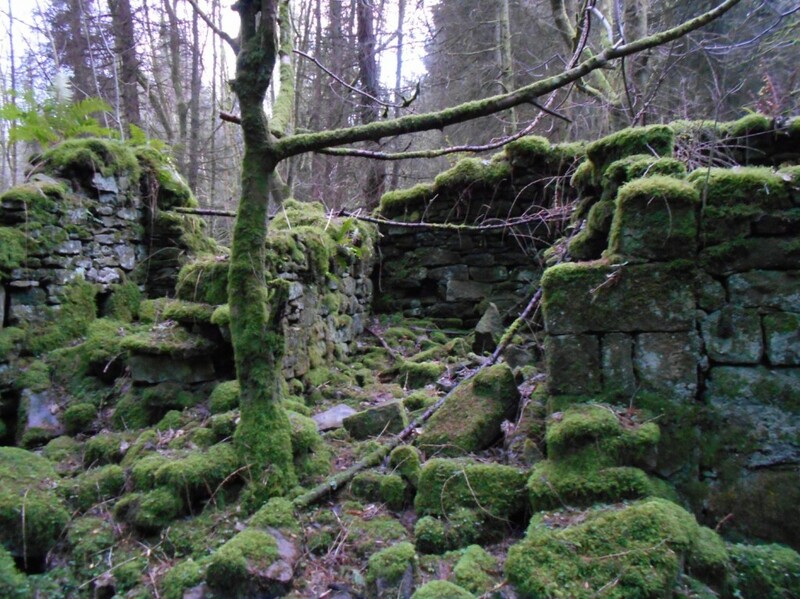 I visited the remains of the farmhouse last winter, you could still see some of the foundations. Such a shame that they lost their farm and land when they didn’t really need to as it was never built up to. Anything more you know about that family and farmstead I’d be interested in. My birth certificate states I was born in Derwent, Howdenshire 12th August 1965. I was later adopted that year. Searching those names leads nowhere Im wondering if (as Ive been told) that I was born in the relocated village of Derwent. Any ideas if that’s right? Thank you for commenting. That’s an interesting story and must indeed point to the derwent and howden area and the re location of Derwent being the Yorkshire Bridge estate just down from the Ladybower dam. I hope you find the answers you are looking for someday! Best wishes, Stephen. That is interesting. I was born at Yorkshire Bridge on the 11th August 1965. I shall ask my mother if there were any other births there around that time. Interesting you are just 1 day apart! Hello, I now live in Wrexcham North Wales, but used to live in Hadfield and farm at Padfield. Quite often we used to walk from Padfield to Derwent, this was in the 50’s I seem to remember walking along to Devils Elbow on the Woodhead road and cutting across to join the old Bridleway from Derwent to the Flouch Inn, Does this track still exist Also my Wife Patricia Nee Woodhouse used to live in Post Street Padfield, HER Grandfather used to walk from Derwent to Padfield to court her Grandmother, which would be the quickest route for him? Hi John. You must be temped to re trace those steps if you are able to! Them days you would have been a lot fitter than people of today living in boxes all day never chancing to take to the feet and walk anywhere. Im sure the paths will be still there. Your wife’s Grandparents would have had quite a trek to Derwent of maybe 11 miles or so. Looking at OS maps I cannot see an easy rout other than A57 unless they took to the moors! What an excellent and informative website! Thanks for your comment. the reservoir was looking pretty low recently with all the ho weather. was hoping for a glimpse of the old villages but on the other hand we do need some rain now! It would be fantastic to find any photographs of the farmstead in its working days. For Elmin Pitts and others too. So many old photos are in attics and old draws or have been lost forever! I often wonder if it was true or not , I wouldn’t know how to find out. Hi Diane, it would be interesting to find out wouldn’t it? I sometimes wish I could ask my parents and grandparents a few things but too late once they have passed on. I never listened much when younger! I would like to find any old B&W photos of life in the villages pre the flood that I could scan and post up to the website… Which village was the farm located that your father lived on, was it Ashopton or Derwent or other farmstead nearby do you know? I am sure his parents would be listed on the 1911 census – do you know his parents’ names and if he had any older siblings then I could have a look.? Hi my name is Kev Sampson, my mother and her parents were the last occupants of Grainfoot Cottage, they lived there between 1947 and 1953. As I recall, my mother told me they had no electric or piped water, and used to set box traps to catch rabbits, as well as growing their own veg and fattening a pig. If you need anymore info my mother I’m sure would be glad to give it. Thanks for commenting Kevin. All good history being uncovered. I sometimes wish I would have been around then instead of now! Half the pollution then and growing your own veg must have been healthy. Rabits would have been high on the menus of that day! Would be great if you have any photos from those days? Hi Kev not sure if you remember me Jude Townsend from Edale I went to school with Angie! I have a marriage certificate 1927 of my Great Aunty Amy and both her and her husband lived and worked at Grainfoot Farm. I wonder if the cottage was next to the farm. He worked as a Farm Labourer and she as a Dairy Maid! My father was born in Ashopton in 1928, it’s all so interesting. Must have been very hard for the families to move out and find new homes in those days. My Grandma and Grandad moved to Thornhill. Anyway thanks for commenting about Grainfoot cottage. I’m an archivist with http://www.sheffieldscoutarchives.org.uk. During 1927-1937, Sheffield Local Association of Boy Scouts (SLABS) leased land at Grimbocar for use as a local campsite. I’m wanting to find out as much as a can about this. Thanks for commenting Andrew. Good luck with the search.. I have just found out that my Great Grandparents (Mr Thomas & Mrs Christina Henrietta Morris) owned the Cockbridge farm, and my Nan has a picture (somewhere with the chickens running around!!). Apparently the farm was used as a lodging for the Irish workers preparing the reservoir.She remembers the farm very well, as my Nan and her brother (Thomas (Tommy) Morris Jnr) had to walk 3-4 miles everyday to school and back, and when they got back, they had to clean the pots & cutlery the Irish workers. After the reservoir was filled they moved to South Hiendley, where my Great Grandfather set up/converted their front room to a fish and chip shop! Does anyone recall my Great Grandparents, as I’d love to see some pics of them? Also is there any other blogs/websites to obtain such information? Many thanks for the website, really great work! Hi Laith, thanks very much for your comments. Really interesting family history you uncovered there. Cockbridge Farm looked an idyllic place to live though I am sure it wasn’t an easy life in that day. Love the comment about the walks to school – imagine the uproar if kids today had to hike that distance in all weather. I think many of the workers would over spill into lodgings from tin town during construction of the dams. Sounds very enterprising of you great Grandfather to let out rooms as well as setting up the chippy. Should you find the pic of the chickens running around at the farm I’d be happy to post it on this page. 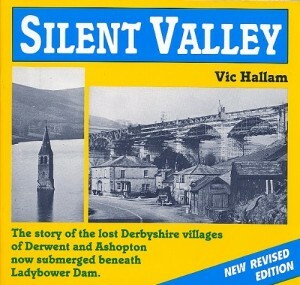 Vic Halams book Silent Valley: the Story of the Lost Derbyshire Villages of Derwent and Ashopton was a good read if you can find a copy. Hopefully you may get some response sometime in the future to your comments on this post.. yes I wished I would have listened to the stories my grandparents were telling me when I was a lad! My friend who now lives in Sutton in Ashfield ,has been keeping me informed as to the lowness of the water in the dams. She regularly goes to Ladybower because her fathers family are from there. Her grandfather was born at Riding House and later his farmstead was Nether Ashup. He relocated to Scunthorpe when they left the farm , his son William Walker came with him met his wife and my friend was born in 1948.She has a book that states that the Hall was taken down and relocated somewhere in America. Please may I have permission to include some of your stills of the Lost Villages of Ashopton and Derwent in the trailer video for a new novel? The plot centres on an bomb-damaged abondoned village having a new build on top of it, and your images are the very best I’ve found. Of course, I would credit you and link to this site or any other you would prefer. PS It’s the sequel to novel featured on the website. Indeed Holly – use images at will. I really got them from searches on Google and are in the public domain. Vic Hallam’s books are a great source of info also – the silent valley and the silent valley at war. The novel sounds great good luck with that. One book comes to mind from my childhood is The Wednesday Witch by Ruth Chew. A miniature witch that rides around on a vacuum cleaner and a miniature cat. Happy days. Not sure why a mentioned that but you may relate, looking at your website! I’m almost certain I can remember in drought times of the late 1980’s people (mainly kids) were wading out / paddling to get to what remained of the church steeple? The army were called in and it was blown up / demolished. I was born in 1980 and I wasn’t very old when this happened but it’s somwthing I can remember on the news at 6..! Thank you this is so informative. I think it’s fantastic to try and preserve all of this fascinating local history for future generations. We often take our two young boys, Finn and Gabe, to Ladybower and have told them the story of the lost villages as my dad told me. Today we have been lucky enough to see the remnants of Derwent village as the water level is still extremely low. Fascinating! Thanks for your comment Tony. Hope you manage to explore the area soon. So I was delighted to see the beautiful old photograph on this site, of the house, intact in all its glory. Thanks for your comment Susan. The Manor House was a beautiful building as the village itself was. Glad you go to see some remains and might be a while before you can peak down the cellars again! Hello my name is David Owen, I live near the village of Chelmorton, you will know the connection with Derwent Church in that the tenor bell hangs in Chelmorton Church Tower. My Great Great Grandfather John Henry Robinson and five generations before him lived and farmed in the Ashopton and Derwent Valley. My ancestors owned the Ashopton Inn along with 300 acres of farmlands. He had the house built which is now the STWA Fisheries Office at Heathylee. I have photos of John Henry Robinson, 1855-1915 and his son Charles Henry, my Great Grandfather and would love to hear from any other family members from that side of the family. Charles Henry Robinson 1878-1969 was born at the Ordnance Arms in Hathersage. Great family history there David. The tenor bell certainty still has a lofty home in Chelmorton Church Tower. Thanks for sharing some of this knowledge and family history here and I hope you find more of the Robinson’s soon. One question. I have access to old maps and have been looking for one with the Pump/Valve house on it, which is on the viceo on Youtube.. where is that map from?? 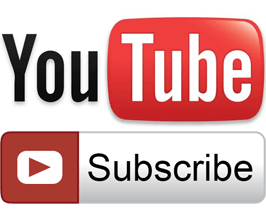 Hi Anthony, thanks for commenting and watching the video. Thanks also for the link and sharing the awesome pictures whilst the reservoir is currently at low water. Now and again some of the past is revealed. In particular, I like that the original path and channel of the river Derwent can be seen beneath the reservoir in drought windows. Interesting observation regarding the OS map. I used the Peak District V3.0 OS map from Garmin, loaded onto my Garmin GPS device and then view it using their Basecamp PC software. Apologies for typo errors in last comment post..
Glad you made it up to the Derwent side Anthony and looks like a good day weather wise.. Some more great pictures with a glimpse back in time. Some really great masonry to see including a foundation stone at Derwent Parish Church with the construction date 1867. Interesting those tree stumps remain too! Thank you, Anthony – a great compilation and record and will be of interest to many! Hi Anthony. Looks like the book is out of stock everywhere. They used to be on sale in Vic’s museum which sadly did not remain open since his passing. Hopefully, the books will be reprinted soon. There are a few out there and I see the asking price is £200 + !! Will have to keep a look out for them being back on Amazon for less than a tenner.. you may have to wait for next Christmas! Hi Stephen Just taken a look at your Elmin Pitts video … is it my imagination or is the video sequence at 7mins in, of the Belmouth water flow, in reverse! The water looks to be flowing upwards? Thought I was going bonkers.. Enjoyed your video very entertaining and instructive.. I must have walked past the EP site from Hope Cross about half a dozen times without realising it was there.. Unlike you I wouldnt fancy a spooky night’s stay up there! have to wait for better weather for the next visit… too cold at the mo..I am preparing another set of 4 pictures relating to the old Ladybower Bridge at the north-eastern end of the reservoir .. visible at the moment..